Looking for a midday protein boost, that’s crunchy, salty and tastes like one of those tempting vending machine snacks? 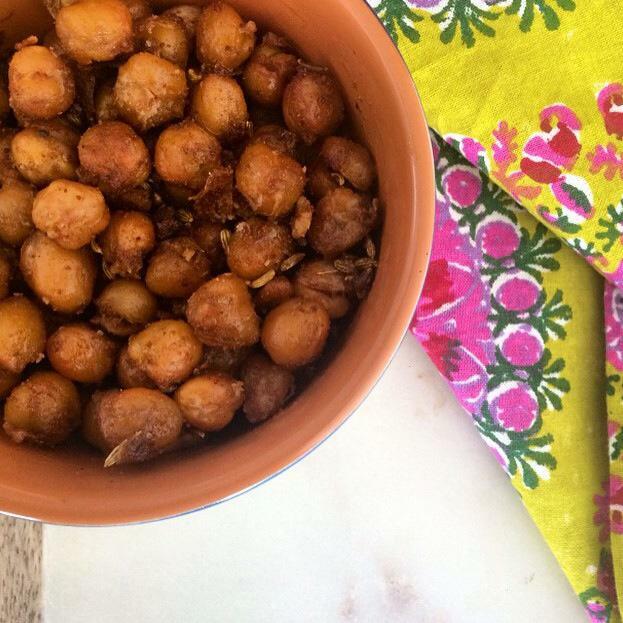 Crispy Spiced Chickpeas will be your new go-to midday munch and with their crisp texture, roasted chickpeas will be your new addiction. Healthy snacks don’t have to be boring, and sometimes all we need is a salty, crunchy snack to kick that potato chip craving. 1. Preheat oven to 450°. Toss chickpeas in a bowl with oil and next 4 ingredients to coat. Season with salt and transfer to a rimmed baking sheet. Roast, stirring halfway through cooking, until crispy, 25–30 minutes.